Oh my gosh, SO CUTE! 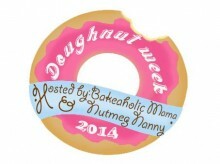 And so dripping with lovely dovey goodness in the form of sweet, pink glaze! AWE!! These are soo adorable! And because they’re heart shaped I wouldn’t be able to just have one. These doughnuts are absolutely adorable, Rachel! 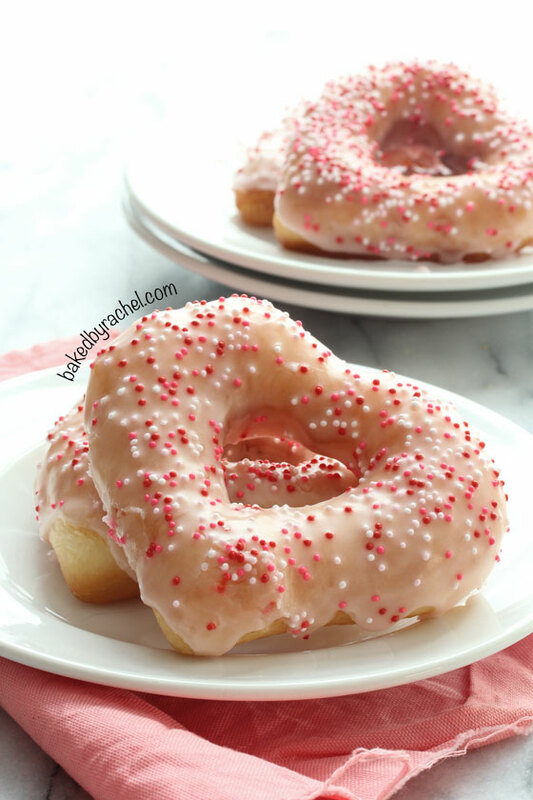 Love the strawberry glaze! Seriously the cutest donut ever. I love it! Will these little lovelies hold their shape if you bake them? Ummmm…will you be my Valentine? 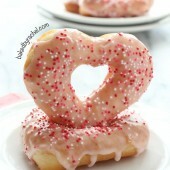 Waking up to a doughnut is the best feeling ever, but a heart shaped doughnut?? Even better!! These are so cute! Right? I’d even be okay with breakfast in bed if this was part of the meal lol Thanks Angelyn! These are so pretty Rachel! The perfect ending to donut week! Oh my gosh what gorgeous pictures!! 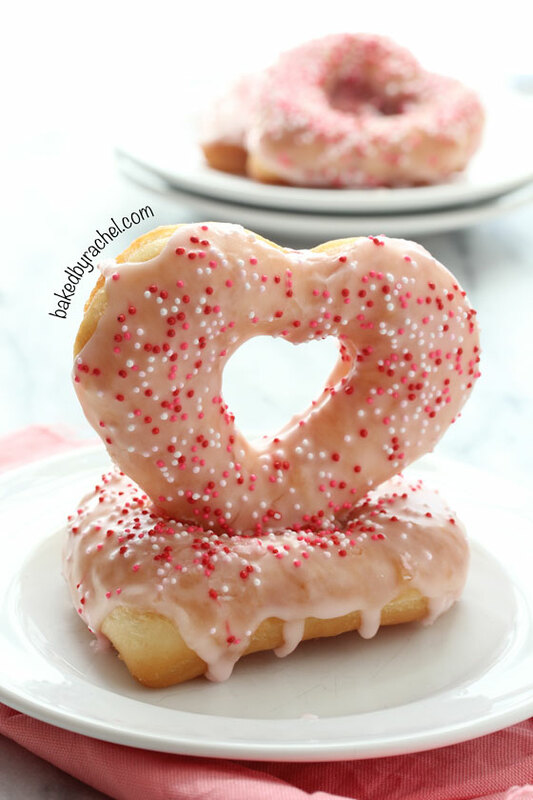 Donuts in heart shape…ingenious! Thank you so much Stacy! Much appreciated :) Have a great weekend! These are too cute!! What an awesome idea!! G’day! These are gorgeous Rachel, love your photo too! 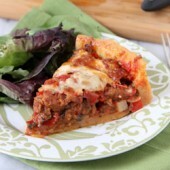 Pinned and thanks for the recipe making smile today, true! Way too cute! These will for sure be on my menu for breakfast this coming Valentines Day. Awesome photography too btw! Sooooooo cute! And they look delicious!I’m trying to stay away from these kind of things lately, but these pics are making it impossible! i love doughnuts! these are great for valentine’s day! 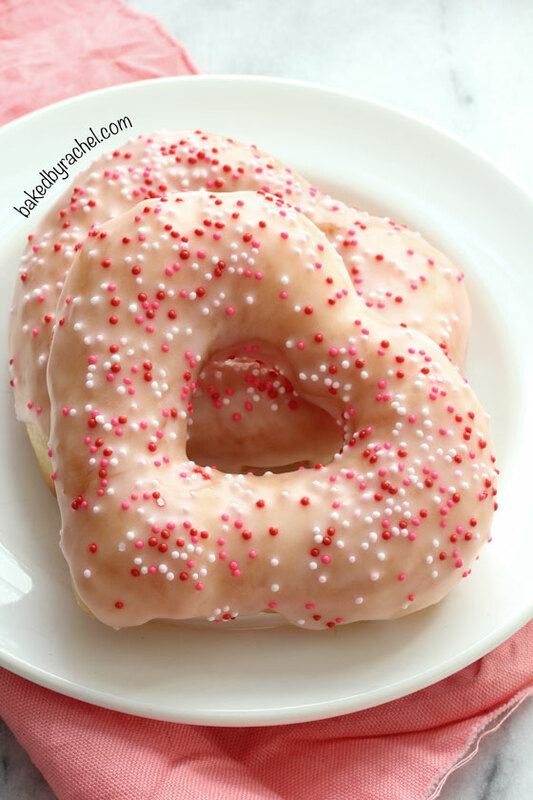 This may be a dumb question, but I’ve never made donuts…what kind and how much oil do you use for frying them? Thanks! I always use vegetable oil for frying. 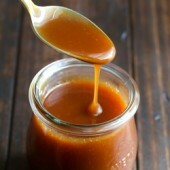 For this particular dish you should use a deep stock pot (5-6 quarts is a good size) with roughly an inch or two of oil. How many donuts can you get out of one batch? 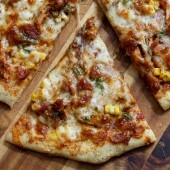 Would love to make these for my kids school parties! The recipe states 6-12 donuts. It will depend greatly on the size of the cutter you choose to use. No worries! It’s easy to miss :) Enjoy!! I made these & they turned out a little tough. Any idea why? Also, I tried to make heart shapes & every time I tried to pick them up to put in the oil they stretched into a weird non-heart shape. I just stuck to circle shapes. I’ve used that dough multiple times without having that issue so I can’t be totally sure. My guess would be over kneading/mixing or over cooking. As for the shapes, they can be difficult even as rounds. The easiest trick is to have the dough shapes on parchment paper and cut out each shape, then carefully slide into the oil. Alternatively if you have a spider strainer you can place the dough on that and lower it into the oil quite easily. Hi, I was just wondering how long these will keep? They look lovely! They’re best enjoyed fresh but should keep for a day or two at least.